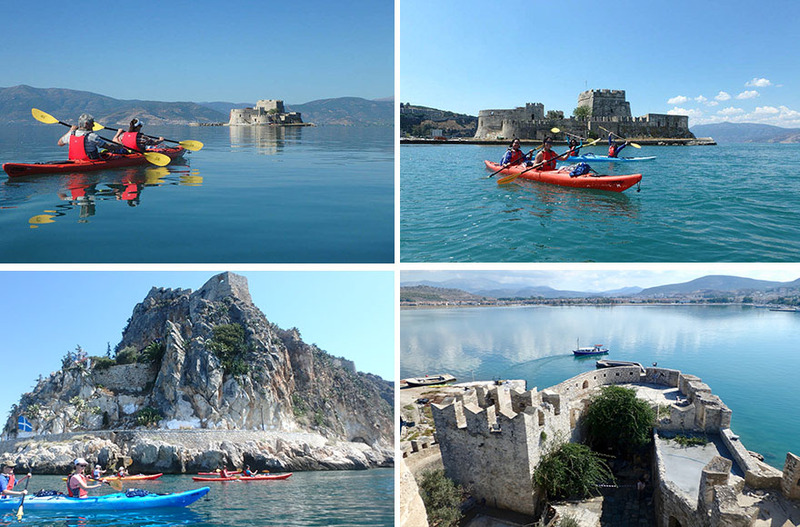 Our Medieval Castles Nafplio Sea Kayak Tour is probably our flagship tour, paddling from the first capital of modern Greece, with 4 different fortresses in our view. All of them rich in history and folklore stories from the ancient times, to medieval and more recent times. This is probably a global originality, and we are proud to offer this tour, at a breathtaking, dominant scenary. The first site we visit is the famous fort of Bourtzi, built in 1473, on a tiny inlet right in front of the port. The importance of this castle throughout the years and the battles it has seen, makes it an ideal location for the first historical tales and folklore. 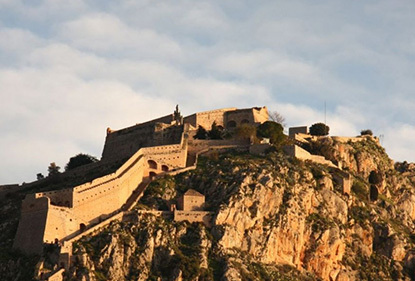 After enjoying the magnificent site, we paddle towards the old town of Nafplio, under the cannons of the Old Town’s 1st line of fortification, while the UNESCO World Heritage fortress of Palamidi dominates the view right above it. 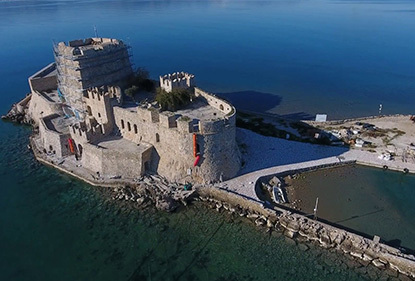 As soon as we exit the port, we paddle along the ancient road of Nafplio, under Akronauplia fortress, and are rewarded with the breathtaking views of the dominant cliffs covered in succulent vegetation with the fortress as its crown at the top. We continue along the coastline until we reach a small secluded beach for enjoying our delicacies and refreshment. 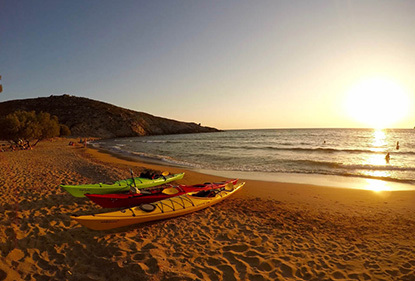 Once refreshed, depending on weather conditions, we start paddling back to our starting port, or reach our base at Karathonas beach, where you can enjoy other watersports, such as SUP and water-cycle before we transfer you back to Nafplio, which transfer is included in the price. 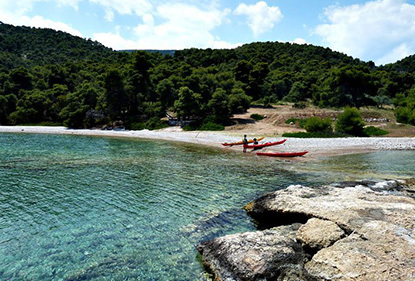 There will be plenty of time for group and family photographs in the kayaks around the cliffs and forts before reaching our finishing point at our beach base. We met Alex an expert seaman who spoke excellent English, was well educated in the area, the history and the current culture of Greece. I highly recommend PanExpeditions and Alex for an emersion in Greek culture! Our favorite memory of Greece! We had about two weeks in Greece and Alex's tour was by far the best experience we had and the most worthwhile use of our money. It's not just about kayaking, it's the stories told, history, snorkling, etc.. that makes this trip a must when visiting Nafplion and looking for something different ! Definitely a highlight of our trip to Nafplio was our day with Alex & Peter. Pan Expeditions has my highest recommendation! Panexpeditions is a great experience! I cannot recommend Alex and Savos enough. They are good people and highly competent at their craft and incredibly personable as well. They provided us an opportunity to make a life-time family memory. Thank you! 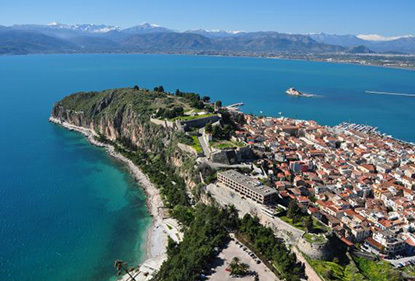 Best Thing We Did in Nafplio! It is very peaceful out on the water-we even got to see a sea turtle. 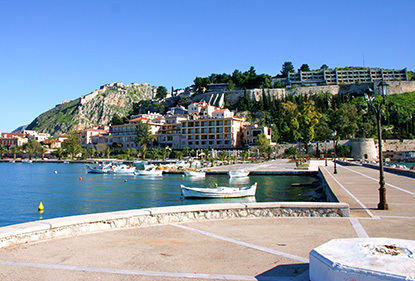 It was our favorite part of our visit to Nafplio! Fantastic Experience! Paddle with PanExpeditions! They were knowledgeable, friendly, and made our time with them a highlight of our vacation to Greece! I'd wholeheartedly recommend touring with them. Thank you so much! !